In Small Things Remembered » King Zahir Shah and President Kennedy greet the crowd. 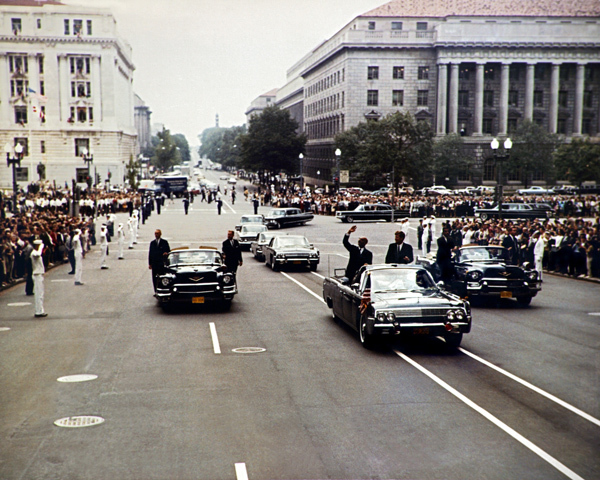 The King’s visit to the U.S. capital in September 1963 was received with great enthusiasm. Afghan flags and banners welcomed the Monarch as he and John F. Kennedy rode through the city in the President’s limousine. The King and Queen’s schedule included appearances at the Islamic Center, the Freer Gallery of Art, and Arlington National Cemetery. Courtesy of the National Archives of Afghanistan, Ministry of Information and Culture.